The European Union Advisory Mission Ukraine is conducting a media awareness workshop for the prosecutors and police officers of Odessa oblast. 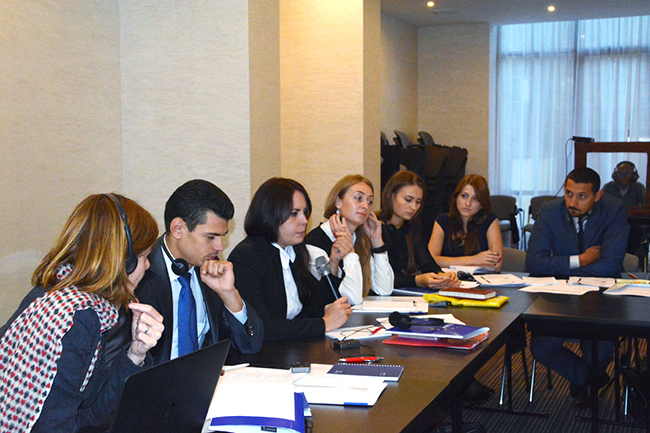 The training – which is a part of the strategic communication advice that the mission provides to Ukrainian counterparts at both national and regional levels – takes place 8-9 October. During the workshop participants are acquainted with theoretical aspects of communication handling, Ukrainian media landscape and media working logic, internal communication, basics of written communication and techniques of interview, press-point and press conference. The second part of the training is dedicated to the practical aspects of communication. Participants are asked to do the mock press statement, interview and press point and also draft press release and develop communication strategy for crisis situations.